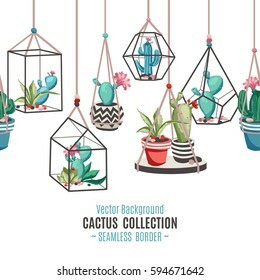 1,333 stock photos, vectors, and illustrations are available royalty-free. Marble seamless background with geometric shapes, tropical leaves and pink glitter. Diamond pattern. Template for textile, apparel, card, invitation, wedding etc. 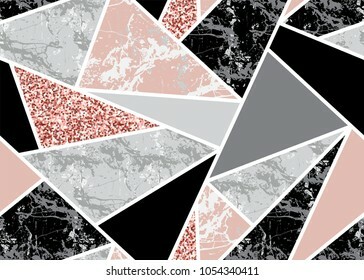 Marble seamless background with geometric shapes and pink glitter. Diamond pattern. Template for textile, apparel, card, invitation, wedding etc. 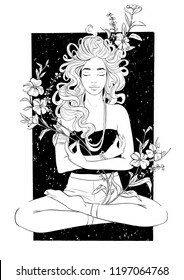 Beautiful girl meditates in yoga pose. 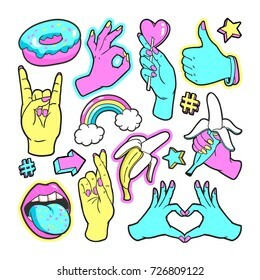 Vector hand drawn inked illustration isolated on white background. 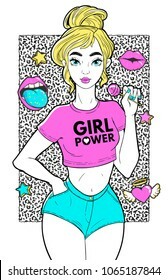 T-Shirt Design and Printing, clothes, bags, posters, invitations, cards, tattoo etc. 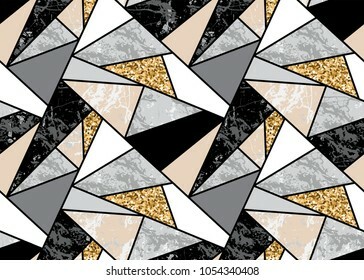 Marble seamless background with geometric shapes and gold glitter. Diamond pattern. Template for textile, apparel, card, invitation, wedding etc. 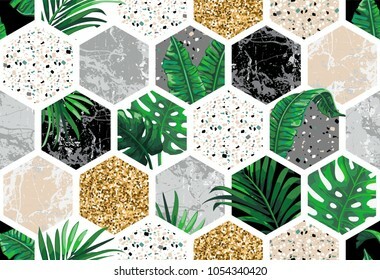 Marble seamless background with geometric shapes, tropical leaves and gold glitter. Diamond pattern. Template for textile, apparel, card, invitation, wedding etc. 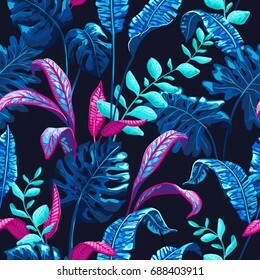 Botanical background with tropical palm leaves. 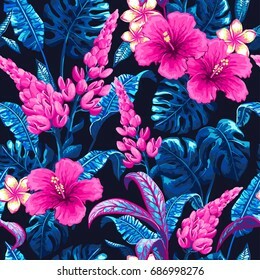 Seamless vector pattern in trendy hawaiian style. Tropical palm leaves background. 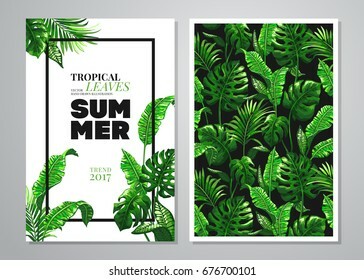 Invitation or card design with jungle leaves. 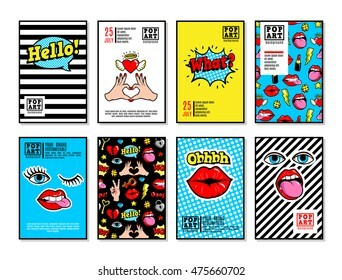 Vector illustration in trendy style. 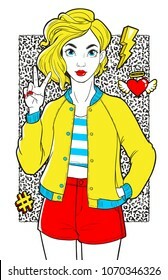 Beatiful girl with fashion patches in cartoon 80s-90s comic style. T-Shirt Design and Printing, clothes, bags, posters, invitations, cards, leaflets etc. Vector hand drawn illustration. 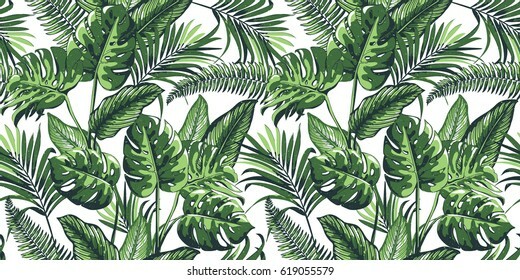 Tropical palm leaves background. 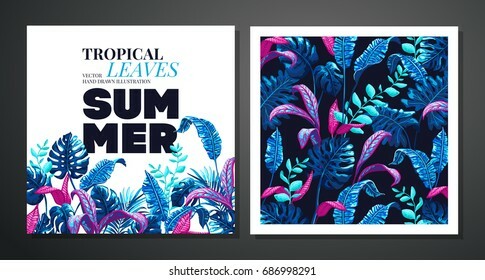 Seamless vector pattern with jungle leaves in trendy style. Marble collection. 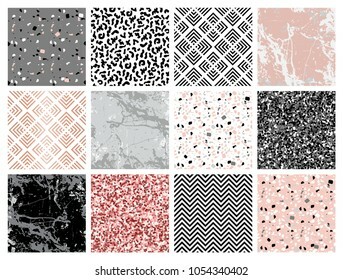 Set of seamless backgrounds and patterns with geometric shapes, pink glitter, marbled texture, hand drawn elements. Template for textile, apparel, card, invitation, wedding etc. 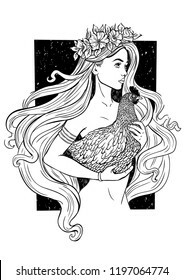 Beautiful girl holding a chicken. Vector hand drawn inked illustration isolated on white background. 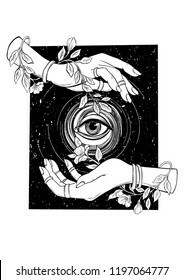 T-Shirt Design and Printing, clothes, bags, posters, invitations, cards, tattoo etc. Hands and eyes with flowers. Vector hand drawn inked illustration isolated on white background. T-Shirt Design and Printing, clothes, bags, posters, invitations, cards, tattoo etc. 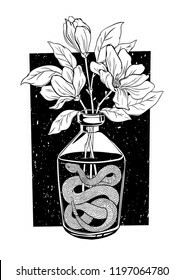 Glass bottle with a snake inside and flowers. Vector hand drawn inked illustration isolated on white background. 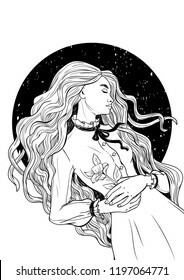 T-Shirt Design and Printing, clothes, bags, posters, invitations, cards, tattoo etc. 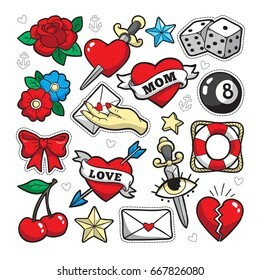 Old school fashion patch badges with heart, cherry, dagger and other elements. Vector illustration isolated on white background. 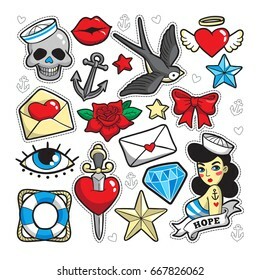 Set of stickers, pins, patches in trendy rockabilly tattoo style. Beautiful girl sleeping. Vector hand drawn inked illustration isolated on white background. T-Shirt Design and Printing, clothes, bags, posters, invitations, cards, tattoo etc. 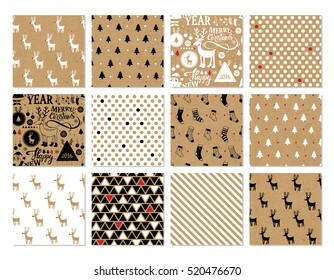 Christmas set of vector hand drawn seamless patterns with deer, santa, christmas tree, snowflakes, triangle, polka dot. New Year and Merry Christmas set on kraft paper background in hipster style. 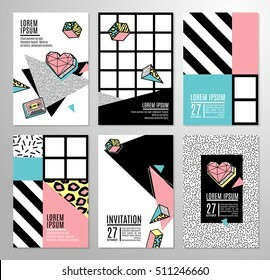 Memphis cards with geometric elements and retro illustrations. 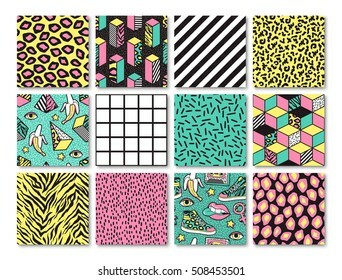 Set of vector banners in trendy 80s-90s memphis style. Can be used in cover design, book design, advertising, poster and greeting card. Memphis poster, card or invitation with geometric elements, sneakers and tape cassette. Back to the 90s. 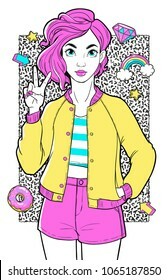 Vector illustration in trendy 80s-90s memphis style. Memphis fashion patch badges with lips, sneakers, banana, triangle, etc. Vector illustration isolated on white background. Set of stickers, pins, patches in trendy 80s-90s memphis style. 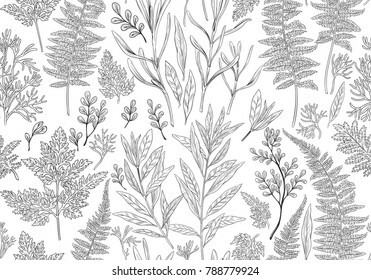 Botanical hand drawn illustration. 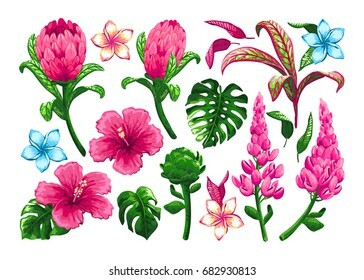 Vintage floral set with plants, herbs, flowers and leaves. Vector design elements isolated on white background. Memphis cards with geometric elements. 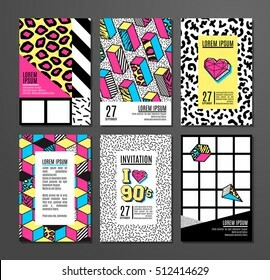 Set of vector banners in trendy 80s - 90s memphis style. Can be used in cover design, book design, advertising, posters and greeting cards. 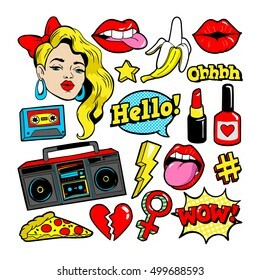 Fashion patch badges with woman, lips, tape recorder and other elements. Vector illustration isolated on white background. Set of stickers, pins, patches in cartoon 80s-90s pop-art comic style. 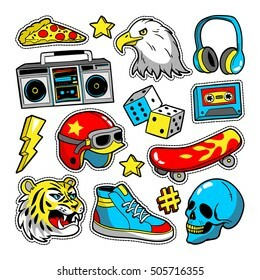 Fashion patch badges with eagle, tiger, skateboard, tape recorder, skull, etc. Vector illustration isolated on white background. Set of stickers, pins, patches in cartoon 80s-90s pop-art comic style. 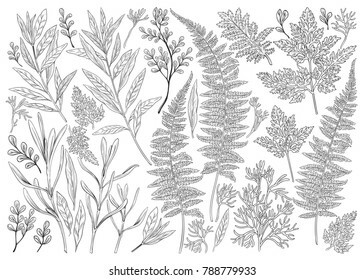 Botanical hand drawn illustration. 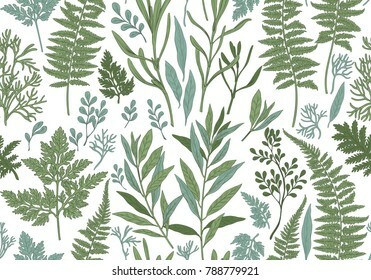 Seamless pattern with plants, herbs, flowers and leaves. 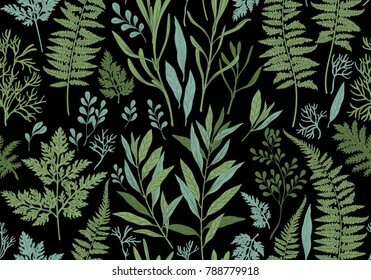 Vintage floral background. 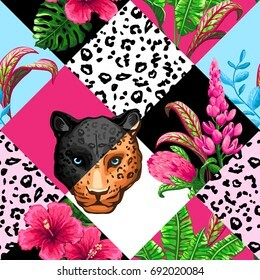 Vector allover print. 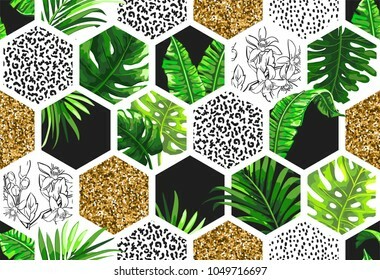 Tropical palm leaves background. 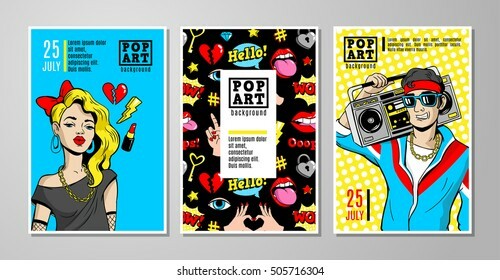 Vector illustration in trendy style. 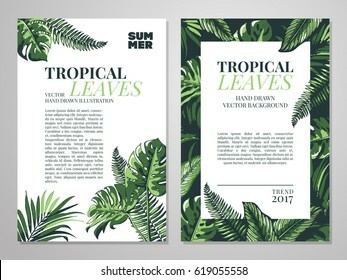 Invitation or card design with jungle leaves. 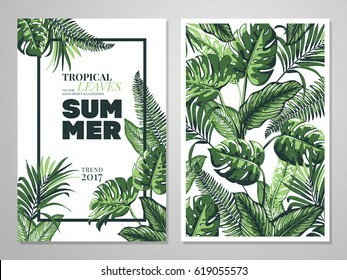 Tropical palm leaves background in trendy style. 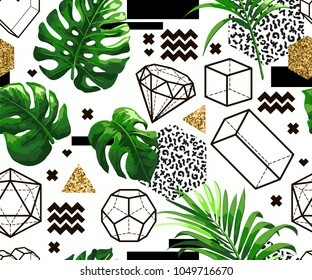 Seamless vector pattern with exotic jungle leaves, geometric elements and gold glitter. 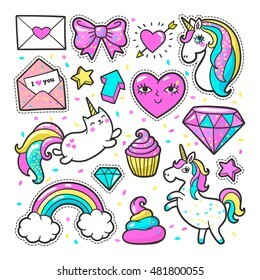 Fashion patch badges with unicorns, hearts, cats, rainbow and other elements for girls. Vector illustration isolated on white background. Set of stickers, pins, patches in cartoon 80s-90s comic style. 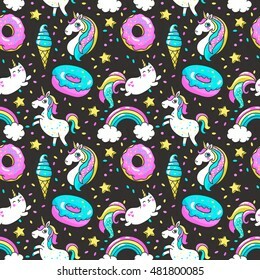 Seamless pattern with unicorns, donuts rainbow, confetti and other elements.Vector background with stickers, pins, patches in cartoon 80s-90s comic style. 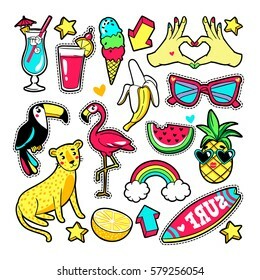 Fashion tropic patches with fruits, leopard, flamingo, toucan and other elements. Vector illustration isolated on white background. 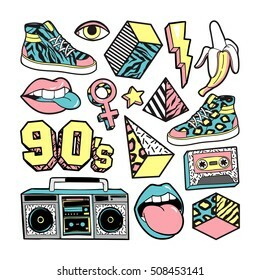 Set of stickers, pins, patches in cartoon 80s-90s trendy style. Memphis poster, card or invitation with geometric elements, sneakers and tape cassette. 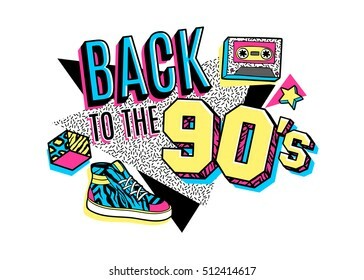 Back to the 90's. 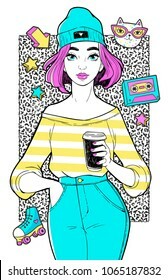 Vector illustration in trendy 80s-90s memphis style. 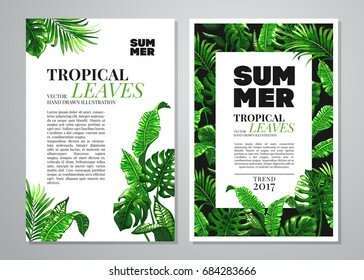 Beatiful girl with tropical leaves and text. 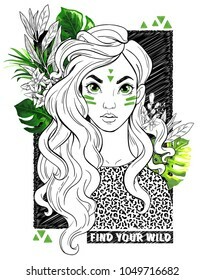 Find your wild. T-Shirt Design and Printing, clothes, bags, posters, invitations, cards, leaflets etc. Vector hand drawn illustration. Cacti flower background. 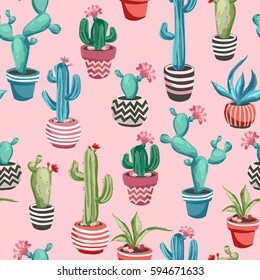 Seamless pattern with cactus and succulents. 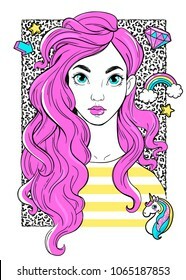 Hand drawn vector illustration in trendy cute cartoon style. 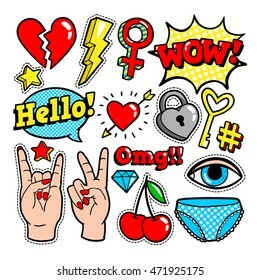 Fashion patch badges with hearts, speech bubbles, stars and other elements. Vector illustration isolated on white background. Set of stickers, pins, patches in cartoon 80s-90s comic style. 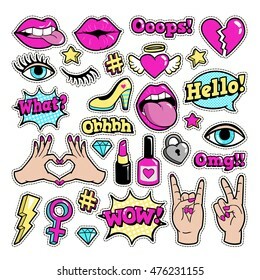 Fashion patch badges with lips, hearts,cats, stars and other elements for girls. Vector illustration isolated on white background. Set of stickers, pins, patches in cartoon 80s-90s comic style. 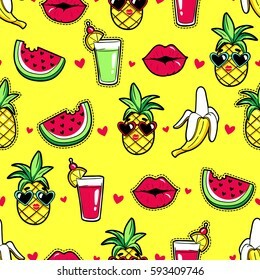 Tropic seamless pattern with pineapple, lips, cocktail, watermelon, banana. 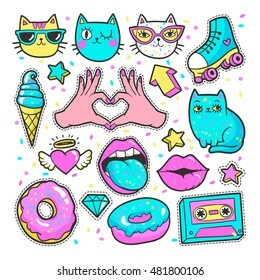 Vector background with fashion stickers and patches in cartoon 80s-90s trendy style. 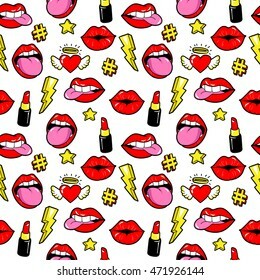 Seamless pattern with fashion patch badges with lips, hearts, stars and other elements. 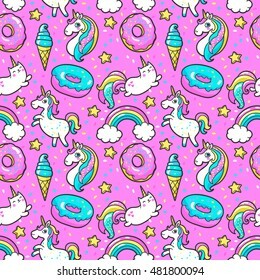 Vector background with stickers, pins, patches in cartoon 80s-90s comic style. 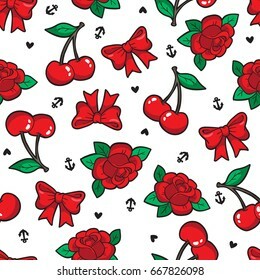 Old school seamless pattern with rose, cherry, bow and other elements. 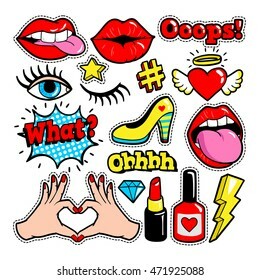 Vector background with fashion patches and pins in trendy rockabilly tattoo style. 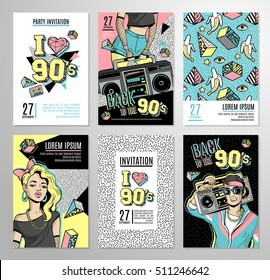 Set of vector cards and banners in 80s-90s pop-art comic style. Can be used in cover design, book design, CD cover, advertising, posters and greeting cards. 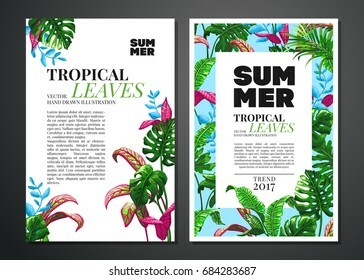 Tropical palm leaves and exotic flowers background. 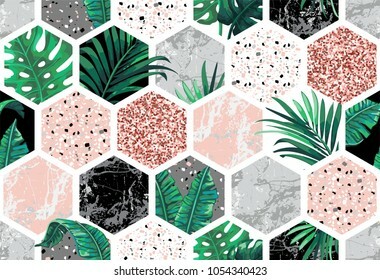 Seamless vector pattern with jungle leaves in trendy style. 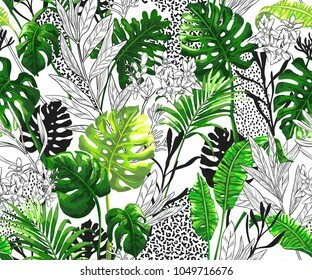 Tropical palm leaves and jungle leaves. 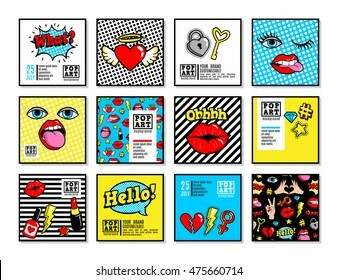 Set of vector trendy illustrations isolated on white background. Memphis poster, card or invitation with geometric elements, sneakers and tape cassette. 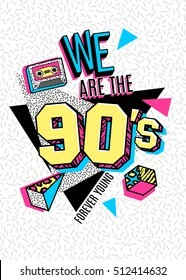 We are the 90s. 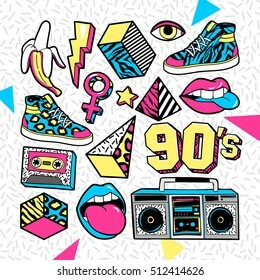 Vector illustration in trendy 80s-90s memphis style. Hello summer. 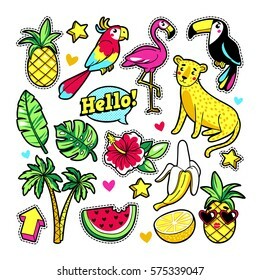 Set of vector cards and banners in cartoon 80s-90s comic style with tropic fruits, flamingo, leopard, toucan, etc. Can be used in cover design, book design, posters and greeting cards. 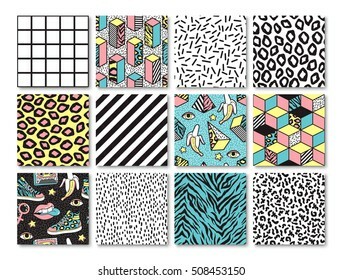 Memphis seamless patterns with geometric, animals, grid, striped and other elements for fashion, wallpapers, wrapping, etc. 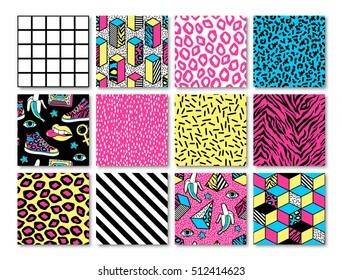 Background set in trendy 80s-90s memphis style. 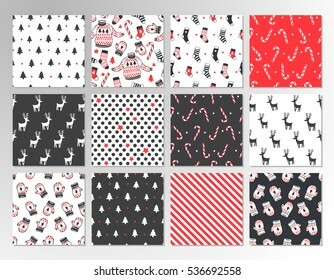 Christmas set of vector hand drawn seamless patterns with deer, santa, christmas tree, snowflakes, triangle, polka dot. New Year set of backgrounds in hipster style. Memphis cards with geometric elements and retro illustrations. 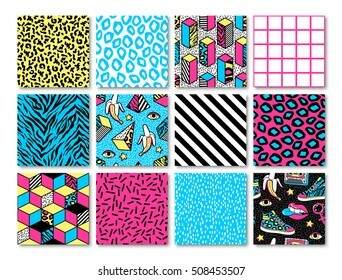 Set of vector banners in trendy 80s-90s memphis style. Can be used in cover design, book design, advertising, posters and greeting cards. 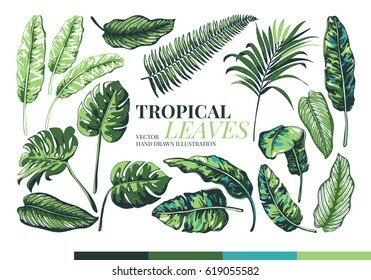 Tropical leaves and flowers background. Seamless vector pattern with jungle leaves and exotic flowers in trendy style. 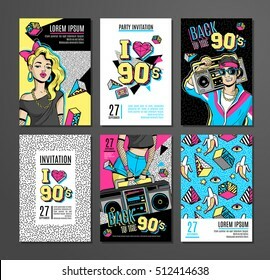 Set of vector cards and banners in cartoon 80s-90s comic style with fashion patches, pins and stickers. Can be used in cover design, book design, CD cover, advertising, posters and greeting cards. Memphis cards with geometric elements. 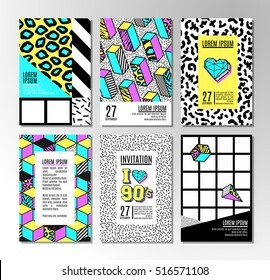 Set of vector banners in trendy 80s-90s memphis style. Can be used in cover design, book design, advertising, posters and greeting cards. Old school seamless pattern with heart, skull, sparrow, anchor and other elements. 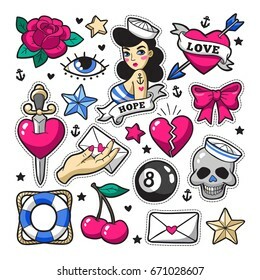 Vector background with fashion patches and pins in trendy rockabilly tattoo style. 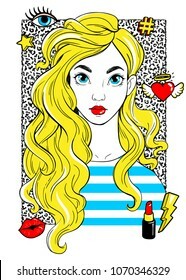 Memphis fashion patch badges with lips, sneakers, banana, triangle, etc. Vector illustration isolated on black background. Set of stickers, pins, patches in trendy 80s-90s memphis style. 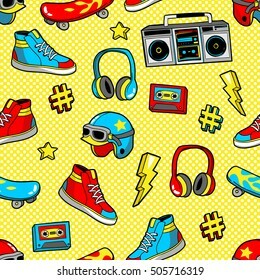 Seamless pattern with fashion patch badges with skateboard, helmet, sneakers, headphones, tape recorder, etc. 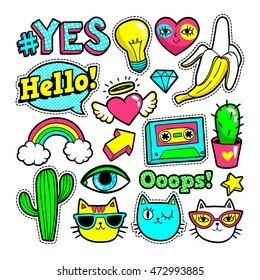 Vector background with stickers, pins, patches in cartoon 80s-90s pop-art comic style. Cacti flower pattern. Seamless border with cactus and succulents. 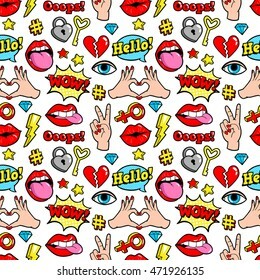 Hand drawn vector background in trendy cute cartoon style. 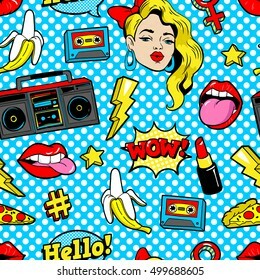 Seamless pattern with fashion patch badges with woman, lips, tape recorder, speech bubbles and other elements. 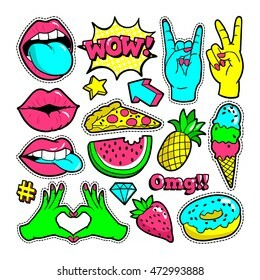 Vector background with stickers, pins, patches in cartoon 80s-90s pop-art comic style. 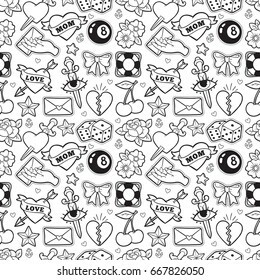 Seamless pattern with fashion patch badges with hearts, speech bubbles, stars and other elements.Vector background with stickers, pins, patches in cartoon 80s-90s comic style. 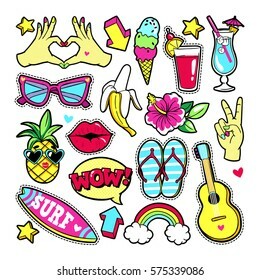 Fashion summer patches with flamingo, fruits, cocktail, surf board, sunglasses, etc. Vector illustration isolated on white background. 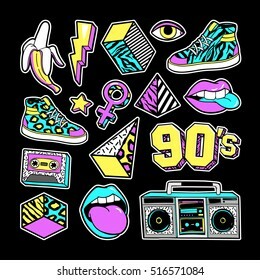 Set of stickers, pins, patches in cartoon 80s-90s trendy style. Beatiful girls isolated on white background. T-Shirt Design and Printing, clothes, bags, posters, invitations, cards, leaflets etc. Vector hand drawn illustration. 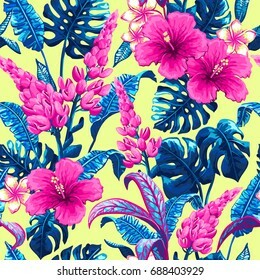 Tropical flowers and leaves. 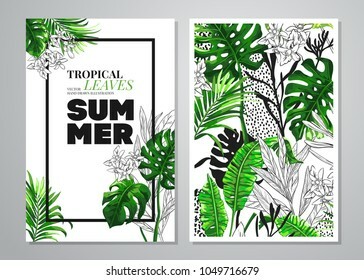 Set of vector hand drawn jungle leaves and exotic flowers in trendy style isolated on white background. 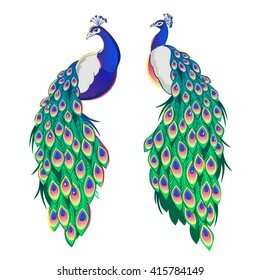 Set of two peacocks isolated on white background. Vector illustration. 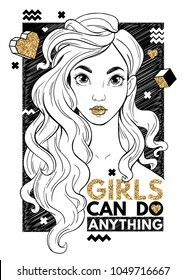 Beatiful girl geometric elements, gold glitter and text. 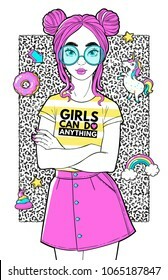 Girls can do anything. T-Shirt Design and Printing, clothes, bags, posters, invitations, cards, leaflets etc. Vector hand drawn illustration. 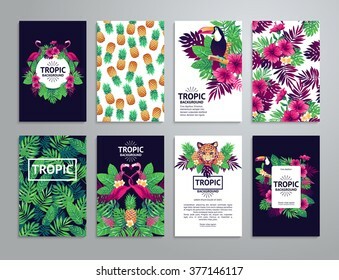 Tropical printable set. 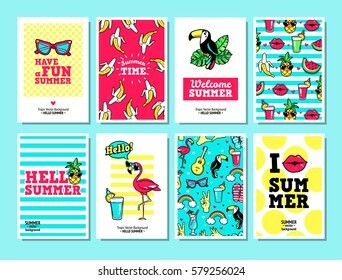 Vector cards, notes and banners with toucan, leopard, exotic flowers and fruits. 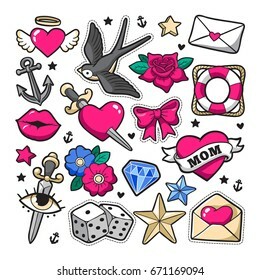 Old school seamless pattern with heart, cherry, dagger and other elements. 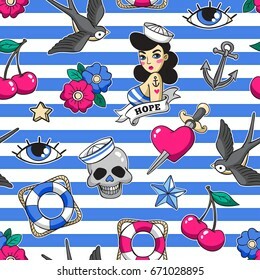 Vector background with fashion patches and pins in trendy rockabilly tattoo style. 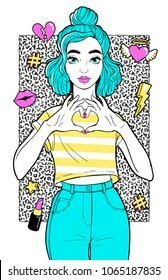 Neon fashion patch badges with gestures of hands, hearts and other elements. Vector illustration isolated on white background. Set of stickers, pins, patches in trendy 80s-90s style. Cacti flower collection. 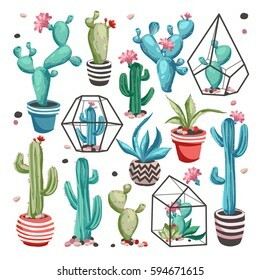 Set of cactus and succulents isolated on white background. 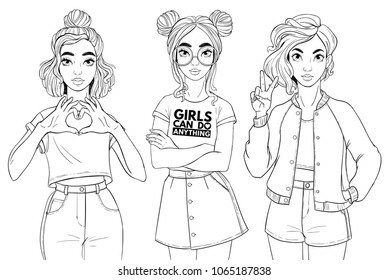 Hand drawn vector illustration in trendy cute cartoon style.